If you’re like most girls, every now and then you have a strong urge to just get a makeover...whether it’s to pamper yourself, make an ex jealous, celebrate, etc. If you’re like me, you go for the hair first, which means you’re searching all over the Internet and browsing through hair magazines for the perfect hairstyle, but this summer you won’t have to do that. 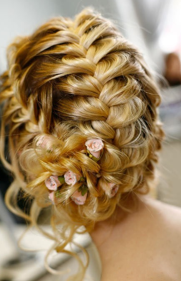 Check out these four inspiring Tumblrs that are all about hair! I absolutely love this Tumblr! I’ve been a short hair aficionado for the past three years and everytime I start growing my hair out, I get a cut because one way or another I wind up on this Tumblr and see a style I just have to try! Once you check out Pixie-Cropped, you’ll understand. From edgy to chic this tumblr has it all, and if you plan on going short anytime soon, this is definitely the place to get some inspiration! There’s even a section where it gives tips on how to grow out short coifs. If I had super long hair this is a Tumblr I definitely would be on regularly because curly hair just looks so fun. From tight curls to beach waves, it’s all here. Even if you don’t have curly hair, it’s still fun to look at; plus, these girls with bold hair resembling fierce lionesses have even more fierce fashion tastes, so you get the best of both worlds! Inspirational, indeed! This is a great Tumblr to use as a go-to guide if you have no idea what you want to do to your hair. If you’re thinking about doing something wild to your hair over the summer, this page features plenty of punky bright colors like fuschia, lavender and hot pinks. 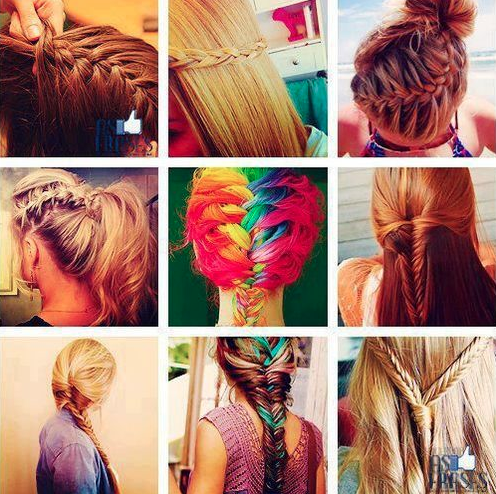 But if you don’t want anything that major, there is a bevy of practical but eye-catching braids. You’ll definitely want the hair you see here, or at least the hair color. If you already have your hairstyle picked out, this is a good place to decide what color you’re going to choose, and trust me there are plenty of colors... all you have to do is choose! Now that you've seen CG's favorite hair Tumblrs, it's time to check them out for yourself and spice up your style! If no styles catch your eye, there are plenty of other hair-inspired Tumblrs out there just waiting to be discovered. LOL, I never knew that there were some Tumblrs that were all about hair. it is actually a gud idea beacus u can never find too many neat styling tips.